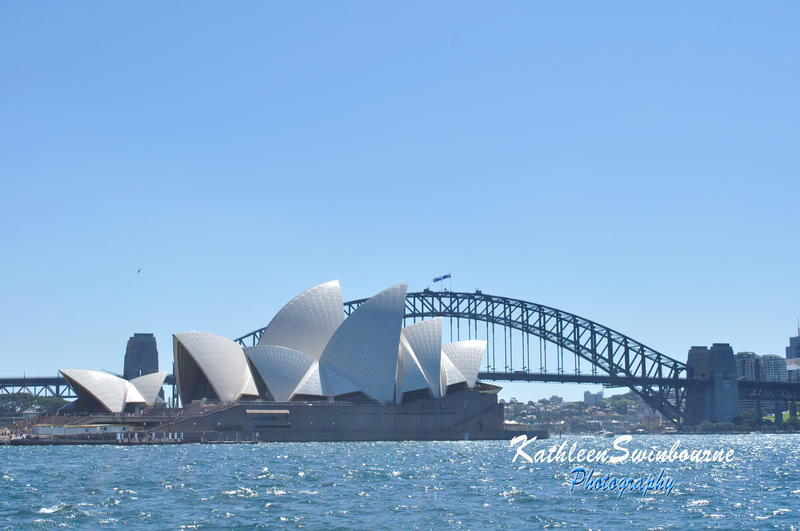 What could be more “Sydney” than cruising Sydney Harbour on a sunny Sunday afternoon? 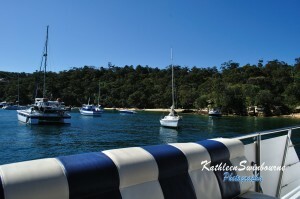 That’s what the people at Sea Sydney Cruises think when they say they “cruise like a local”. But mixing in the circles I do (not the rich people), cruising Sydney Harbour can mean a ferry ride to Manly. 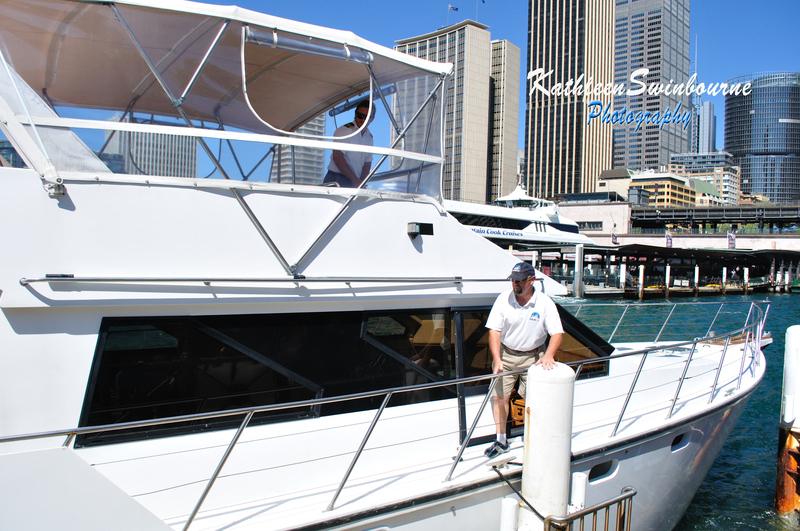 If you read this blog regularly you’ll know that luxury isn’t my normal mode of travel, so when I received the invitation for a “luxury Sydney Harbour lunch cruise” I jumped at the chance. All I had to do in return was write about the experience. 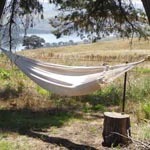 Aah, the life of a travel blogger is a tough one! And that’s how I found myself sitting on a cruise boat one recent Sunday afternoon. An exclusive luxury cruise boat with only 4 other passengers. Things started well. As we departed the Commissioner’s Steps at Circular Quay and pulled out into the harbour proper the first question was “What would you like to drink?” My type of cruise! Drinking copious amounts of alcohol is definitely a very Sydney thing to do. Come to think of it – wherever you are in Australia, or with Australians, it’s the thing to do. We Aussies do like a bit of a drink. 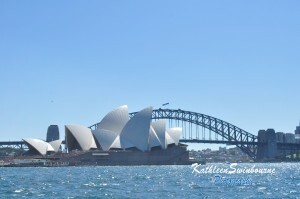 And Cruising Sydney Harbour really is one of those things that should be on everybody’s bucket list. So combine the two and you can’t lose. Right? Well … right! What? Did you really expect me to say it was terrible? Are you insane? A luxury cruise on Sydney Harbour on a beautiful sunny spring Sunday? Even if they weren’t giving me the cruise for free it was great. We left Circular Quay and turned right – past the Opera House (one of the world’s most beautiful buildings – would you like another glass of wine? 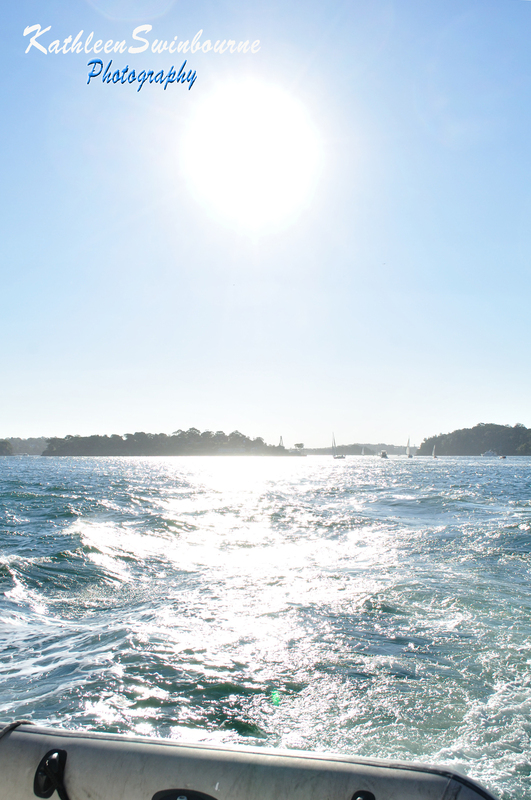 ), around Garden Island (naval base), past Double Bay & Rose Bay (full of rich wankers – another glass of wine? 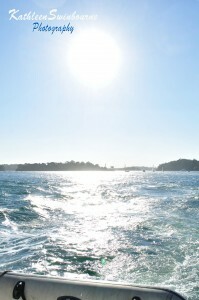 ), and out to South Head (beautiful swimming spots), before heading over to the north side (another glass of wine?). If I was going to be unbiased I would have to say the north side of the harbour is the most beautiful. From the water lots of it looks untouched – full of trees and sandy beaches, small private coves, and places you would swear nobody has set foot. And full of lots of interesting history. But it was the northside where we dropped anchor for lunch (another glass of wine?). Not in a private cove, but still one with a beautiful sandy beach surrounded by trees. There were quite a few other boats there, but they all seemed to be locals out for a Sunday afternoon cruising – ‘cruising like locals’. Everybody was relaxed and enjoying the sunshine and the harbour. I even managed to dive overboard for a pre-lunch swim. The water was … refreshing, and I passed on swimming in to shore. Then came lunch (and another glass of wine). For me, the big test. I’d left it until Friday afternoon to let them know I am vegetarian. Things didn’t auger well when the host came to me mid morning and apologised because he’d only just found out I was vegetarian. But when lunch came, it was beautiful. The others could have their smoked salmon, I had vine leaves, felafels and salad. Beautiful! And much better than many things I get served when people get notice months in advance that I’m vegetarian. Maybe it’s a lesson – leave it until the last minute and get whatever they have in the cupboard. After lunch we continued the cruise. Past Taronga Park Zoo, under the Harbour Bridge (another glass of wine?) and around Darling Harbour and Barangaroo before heading back to Circular Quay around 4 hours after we started. If I had any complaints it would be (and I never thought I’d say this – ever), there was too much wine. Well, not too much wine exactly, but at no stage was I offered water or soft drink. 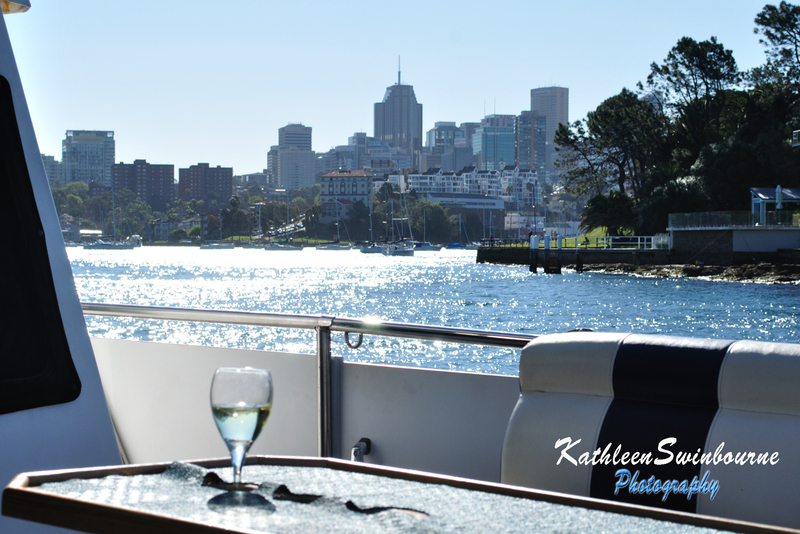 Cruising the harbour in the sun, drinking wine, you really do need to intersperse that with water or you’ll roll off the boat. Not that that’s a bad thing – it’s what the locals often do. And the only other issue for me was probably another thing that makes it a cruise like the locals. I know Sydneysiders are obsessed with property prices, but not everybody else is. The commentary could have included more about the history of Sydney (and the pre-1788 history), and a little less about who owns what house on the harbour and how much it last sold for. Only a small thing, and one which wasn’t relevant any more when we got past the wanky eastern suburbs where it’s a major topic of conversation. So would I go if I had to pay for it? 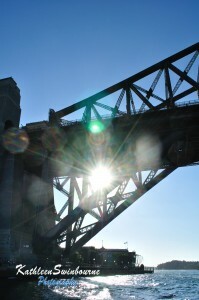 There are cheaper ways to cruise Sydney Harbour. A ferry ride to Manly being one of them. But on the ferry you don’t get wine, lunch in a lovely bay, a swim, and the feeling of being on your own cruiser. But $285 buys a tank and a half of diesel that will get Doc & I way out into the outback, and $285 each buys three tanks, so for me it’s a big trade-off. But if you don’t baulk at spending $285, then go for it. Take a few friends and you can even pretend it’s your own private boat. Just like the locals!